Wedding Egg – The Home of My "Big Things"
Matt and Erin’s wedding reception was at the American Visionary Art Museum. In the courtyard outside the entrance was this “Artsy Egg” which we spotted on the way into the museum. 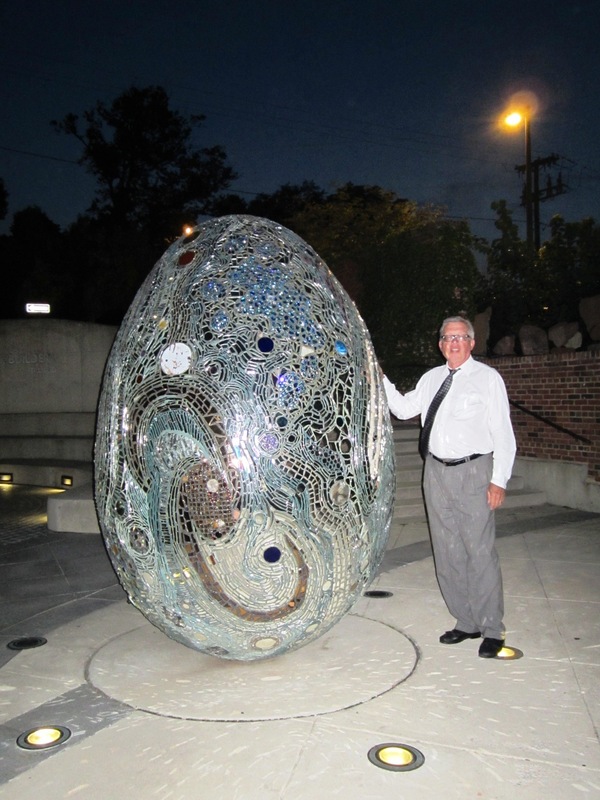 After a night of food and dance the celebration ended and I posed with this fancy egg.